If I’m going to take a few unplanned months away from sharing recipes, I better have a great one to kick off coming back to blogging, and this recipe for Quinoa Fried Rice is it. Who doesn’t love fried rice? It’s salty and buttery all at once, and always satisfies that takeout craving. Sometimes, though, I want to eat healthier (well, slightly healthier) or have a more filling meal, and substituting quinoa for the rice in this recipe gets the job done. In terms of making this recipe more filling for work lunches, I always add crispy fried chicken, tossed in a bit of extra sesame oil at the end of cooking, to get me through an afternoon of teaching. You can easily do this as vegetarian dish without the chicken, add an extra scrambled egg or two, or add tofu. Or, simply enjoy as is. One other thing I love about this meal is that it’s a great recipe to make during the same week you try out my Crispy Chicken Lettuce Wraps with Peanut Sauce, since you’ve already got over half of what you need to make those once you’ve grocery shopped for this recipe! The flavors are definitely distinctly different, still, so it’s a great way to save money on groceries and using up your ingredients while still varying up what you eat. Quinoa seems to really multiply and I always end up with a mountain of it - which is exactly what you want when you’re adding awesome flavors like sautéed onions, sesame oil, soy sauce, fresh chopped scallions, and more. This is a great recipe to cook for a crowd and has a relatively inexpensive base in the quinoa. Cheap, tasty, health(ier)…add this to your calendar for dinner next week! Vegetarian Friendly: Leave out chicken or add tofu. Vegan: Use additional oil as needed rather than butter, and leave out the eggs. On the stovetop: turn one burner on high. Add 2 cups of water to the sauce pan. Add in 1 cup dry quinoa. Once the quinoa comes to a boil, turn down the heat, cover, and let the quinoa sit for 15 minutes. Read more about how to cook quinoa. 2. Slice your 2 chicken breasts into thin strips. Add 3 tablespoons olive oil to a pan over medium-high heat. Once the pan is hot, add the sliced chicken breast and let cook until browned. Use a spatula to ensure all sides are browned. Cooking should take 5-10 minutes. 3. When the chicken is almost done, add 2 tablespoons sesame oil to the pan and stir to coat to add extra flavor to the strips. 4. Dice 1 medium onion, 2 medium carrots, and 4 cloves minced garlic and add them to a large frying pan with olive oil over medium heat. 5. Sautè the veggies until they begin to soften, about 5 minutes. 7. Add some water (less than 1/4 cup) to a microwave-safe bowl, add the 1/2 cup frozen peas and microwave on 30 seconds to soften them. Then, add the peas to the frying pan. 6. Once the quinoa is ready, add the cooked quinoa to the pan with all the veggies and stir. 7. Add 4 tablespoons soy sauce and 4 tablespoons sesame oil to the pan and stir. These amounts are flexible and dependent on personal preferences! Add more or less if you like. 8. Add your cooked chicken strips to the pan. Continue to stir, adding more butter, sesame oil, or soy sauce as desired. 9. Meanwhile, quickly scramble two eggs in separate pan. I’ve found scrambling it all together makes the quinoa weird and congealed. Definitely scramble your eggs separately. Add these to the quinoa pan and mix to incorporate. 9. Add salt & pepper and chopped scallions to taste. LUNCH TOMORROW - I’ve done this for meal prep for lunches for the week and it lasts very well! Be sure to eat within 5 days if you do add chicken. EXTRA INGREDIENTS - If you have extra carrots, chicken, soy sauce, and quinoa, you’re halfway to my Crispy Chicken Lettuce Wraps with Peanut Sauce! Work on that bottle of soy sauce with my Beef & Broccoli recipe. Use up the rest of that bag of frozen peas in my favorite comfort meal: Chicken Pot Pie. I've been on a puff pastry kick since posting my 3-Ingredient Baked Brie last week, indulging in this comforting Chicken Pot Pie recipe. Chicken Pot Pie is my ultimate comfort food, right after Kraft Mac & Cheese (I know, I know...every foodie has their vice.) I had chicken pot pie all week for lunch this past week with a nice salad and felt so satisfied. I've definitely found a new Sunday meal prep lunch to add into my work lunch rotation. This recipe just tastes like comfort food should taste, with the buttery, flaky puff-pastry crust, the creamy, veggie-stuffed filling, and the hint of thyme. Chicken pot pie sounds like an impressive dish to me, but it's actually much easier than I would have thought to make. Part of the secret comes from the puff-pastry crust, which is buttery and delicious and definitely not the 3-hour chore that making your own crust from scratch would be. Once you do the prep of simmering all of the veggies and chicken together to make your filling, it's really a set it and forget it dish once it's in the oven. About 30 minutes later, you're opening the oven door to a beautiful, golden-brown crust and bubbling chicken and veggie goodness. Another huge perk of this recipe is it's freezer-friendly. Last week, I made a double batch and froze a few portions for my shortened work week this week (hello, vacation!) and have been enjoying chicken pot pie again this week for lunch. Personally, I followed the recipe below through the end and then froze the fully cooked pot pie so when it defrosted, it was ready to take with me for lunch. You could also stop after step 12 and wait to finish of baking your pot pie until you defrost it later. In this case, add at least 20 minutes for cooking time. Either way, I highly recommend you make a double batch, because this recipe is going to leave you wanting more. Vegetarian Friendly: Leave out the chicken for a hearty vegetable pot pie. You can also try substituting firm tofu in for the chicken, added at the same time of the cooking process. Vegan-Friendly Follow dairy-free and vegetarian recommendations, plus leave off the butter or use a vegan margarine to brush over the top of the pie. 1. Take out one sheet of puff pastry and defrost for approximately 15 minutes on the counter. 2. Preheat the oven to 350°F and turn a sauté pan on medium heat. 3. Add 3-4 tablespoons oil to the pan. 4. Dice 1 small yellow onion, 1 medium red potato, 2-3 peeled carrots, and cut 1-2 chicken breasts into bite sized-pieces. 5. Add the vegetables to the pan and sauté for 3-4 minutes until the onion becomes translucent. 6. Add the chicken to the pan and sauté for 4-5 minutes, until the chicken becomes opaque. 7. Add 5 tablespoons flour to the pan and stir to coat the chicken and onions, cooking for 2-3 minutes more. 8. Add 1-2 cups chicken broth and 1/4 cup milk to the pan and stir, cooking 2-3 minutes. 9. Add 1 cup frozen peas and leaves of 2-3 sprigs fresh thyme. 10. Add salt & pepper, to taste. 11. Simmer all of the ingredients for 5 minutes. 12. Transfer to a baking dish. A rectangular dish works best because the puff pastry sheets are rectangular and will cover your pie better. Layer the puff pastry sheet on top of the filling and brush with butter, if desired, to help the pie get a golden-brown look. Poke the middle of the pastry twice with a fork to let steam escape. 13. Bake for 25-35 minutes at 350°F. You'll know when the pie is done when the filling is bubbling, the crust has fluffed up and expanded and is a golden brown color. STORING - Store in the fridge for 3-4 days per FDA recommendations (confession: I eat this for a whole week so it's more like 6 and I have yet to die.) You can also freeze either wrapped in plastic wrap or in a ziplock bag with the air squeezed out. LUNCH TOMORROW - This is my new favorite weekday lunch and/or freezer meal. I'll make a batch on Sunday and enjoy it every day for lunch throughout the week. You can also freeze portions (or an entire pie) and reheat later either in the oven (either already defrosted or still frozen) or in the microwave (already defrosted). EXTRA INGREDIENTS - Unless you make a double batch, you'll have one extra sheet of puff pastry left. Use it to make my 3-ingredient baked brie or mini apple pies, or check out Buzzfeed's 18 Easy and Inexpensive Desserts You Can Make with Puff Pastry. I made the brie for a Saturday night app and then used the leftover puff pastry for this recipe for lunch for the week and it worked out perfectly. I keep my frozen peas in the freezer for another batch of chicken pot pie or Quinoa Fried Rice. These Easy Chicken Enchiladas have become my go-to Sunday meal prep recipe. There's nothing like a full batch of enchiladas ready to go when I get home from work on Monday - 20 minutes in the oven and boom. Dinner is served. I ate these for a week straight the first time I made them. The smoky chipotle chicken and bean filling is blanketed in cheese and homemade enchilada sauce that bubbles as you take them out of the oven. So much yes. For some reason enchiladas seemed like a dish reserved for ordering out at a restaurant. They're actually super easy to make at home, and very easy to put your own twist on (try making them vegetarian by adding more beans!). Turns out, the secret to good enchiladas is the sauce. I knew you could buy enchilada sauce at the store, but making it at home takes less than 10 minutes. Plus, you probably (at least, you should) have everything you need to make it already in your pantry. The recipe is written for about 8-9 enchiladas - but it's perfect for leftovers, bringing for lunch, or sharing with friends. I also freeze them for later. If you're freezing, stop at Step 8 (before pouring on the enchilada sauce and baking) and freeze your enchiladas before you bake them. Store the enchilada sauce on the side in the freezer (a plastic baggie works fine). When you're ready to eat, defrost the enchiladas & sauce and resume with Step 9. They'll taste like you made them fresh that day. *Note: I make a big batch of this recipe and freeze the rest (see instructions for freezing above). You can take some for lunch for the week or share with friends, too! Otherwise, just halve the recipe. Dairy Free: Leave out the cheese or choose a dairy free option. Vegetarian Friendly: Add extra black beans or quinoa instead of the chicken and use vegetable broth instead of chicken broth in the enchilada sauce. 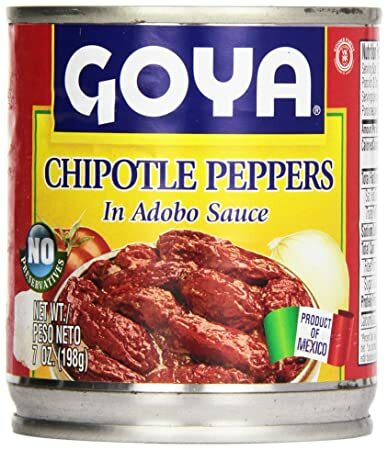 Gluten Free Friendly: Use gluten free tortillas or corn tortillas without gluten AND make sure to use a gluten free flour in the enchilada sauce, if you're making yours from scratch. 2. Add 3 tablespoons oil to a saucepan on medium heat. 3. Once the oil is heated, whisk in the dry ingredients. 4. Cook for 1-2 minutes until fragrant. 5. Add 2 tablespoons tomato paste and stir. 6. Whisk in 1 1/2 cups chicken broth, whisking to remove any lumps. 7. Simmer the mixture on medium-high heat for 1-2 minutes, then reduce heat to a low simmer for 5-7 minutes, whisking occasionally. 8. The sauce is done when it has thickened slightly. Set aside. 2. Heat 2 tablespoons oil in a sauté pan over medium heat. 3. Dice 1 small yellow onion and add to the pan. Stir. 4. Dice 3 chicken breasts into bite-sized pieces. Add to the sauté pan with the onions and stir. 5. Dice 1-2 chipotle peppers in adobo sauce and add to the pan, stirring to distribute evenly. 6. Cook over medium heat until the chicken is cooked through. 7. Lay out your tortilla flat. Add a dash of enchilada sauce, a scoop of the chicken mixture, a scoop of black beans, and a handful of cheese. Roll the enchilada up tightly, and place it seam side down in a baking dish (I use a 9 x 13 pan, so the enchiladas fit together nicely and don't fall apart). 8. Repeat for the remaining ingredients, filling as many tortillas as you have filling for. I usually get about 8-9 enchiladas out of my medium tortillas. 9. Pour approximately 1 cup enchilada sauce over the top of the tortillas, and more if you'd like. 10. Bake for 15 minutes at 350°F. 11. Take out the pan and sprinkle shredded cheese and cilantro over the top. 12. Bake for another 5 minutes, or until cheese is melted and bubbly. 13. Serve with a side of sour cream and extra enchilada sauce, if desired. LUNCH TOMORROW - Like I said, I could eat these all week, so this recipe might just be the perfect lunchbox treat for you at work this week. Keep the sour cream on the side, heat up in the microwave, and enjoy. STORING - Store in an airtight container in the fridge and enjoy within 3-5 days. EXTRA INGREDIENTS - If you have extra Mexican cheese, please just let yourself indulge in a plate of late night nachos. Or, use the cheese to whip up a quick quesadilla with any leftover tortillas. Store any extra chipotle peppers in the freezer, 1 per baggie, for use in future recipes. Cilantro is delicious on top of Shortcut Shakshuka or Crispy Chicken Lettuce Wraps with Peanut Sauce, and I can't eat my Freezer Friendly Mexican Stuffed Peppers without sour cream. If you can buy a larger pack of chicken breasts on sale (buying in bulk is cheaper! ), freeze the rest or try out my Honey Mustard Pretzel Chicken. As for all of the spices, keep those on hand for future dishes. It's important to have a well-stocked spice cabinet!